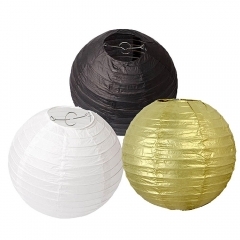 The Paper Lantern Assortment is a package of 3 Paper Lanterns, Paper Lanterns in assorted sizes. 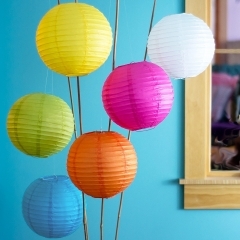 There are three 12inch Lanterns . 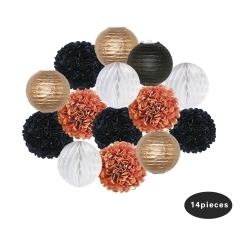 You can use these Paper Lanterns at any type of party or event. 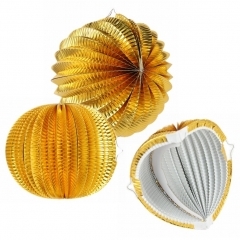 We have the largest selection of paper lanterns online. 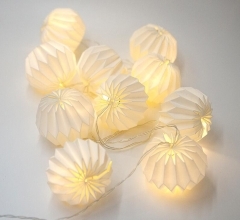 These paper lanterns are suitable for decorating your special events.